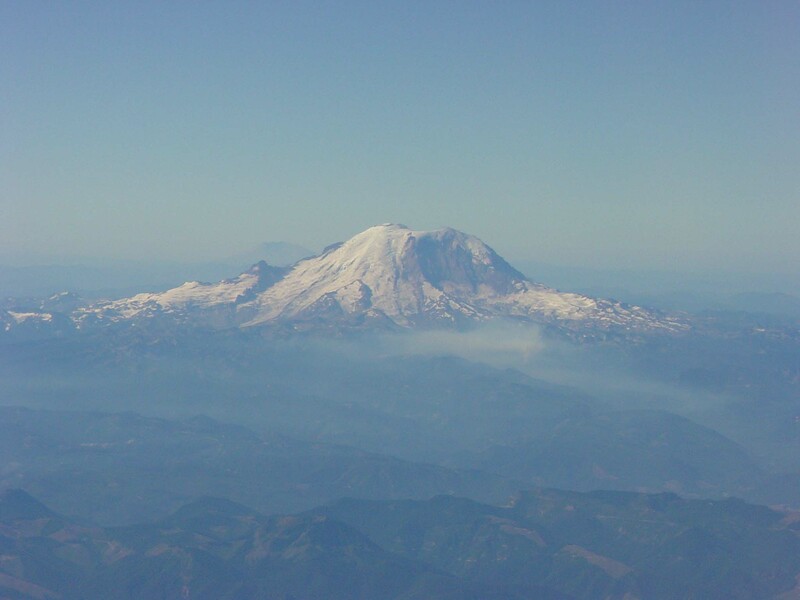 The image on my home page is one that I took of Mount Rainer, near Seattle, Washington, on August 24th, 2003. Amazingly, I took this picture through the window of a commercial airliner as we departed from Seattle on a beautiful day. The image was taken with my Sony Cybershot DSC-P71 digital camera at high 2048x1536 resolution and full (3x) optical zoom. I was as amazed as you probably are that the image came out as well as it did under the circumstances. If you are viewing these pages with Internet Explorer, you will see the text on my home page scroll over the background image, while the image remains still. This is a neat effect that Microsoft calls an html watermark. If you are using Netscape Communicator or another browser like Opera, the watermark effect does not work and you may instead see the background image repeat itself as you scroll. This doesn't look quite as nice, but Bill Gates is doing his best to keep the competition down.